In business for now close to twenty years, DiscountMugs is one of the largest suppliers of personalized promotional products in the country. With only top quality wholesale items, and all at the lowest prices in the market, our goal is nothing short of your complete satisfaction. Our skilled specialists work hard to ensure that we deliver only premium merchandise that in return procures you with a similar experience. We understand the importance of advertisement be it at a small business or large corporation, and seek to bring you effective marketing solutions that reflect on your business values to contribute to the well-being of your firm. Anywhere form event planners, major agencies and corporations, hospitality businesses such as restaurants, hotels, bars, pubs, lounges and diners, just to name a few, comprise the whole of our major consumers. The number one mugs purchasing source, we have continued to expand in other areas that allow us to cater to your specific needs. We not only bring you a varied catalog of promotional mugs, but also sports bottles and tumblers, an extensive collection of specialty glassware items, tote bags and other carry cases, pens, and a large apparel selection that includes everyday and office wear sure to get the attention you seek. We also produce customized merchandise for hotels, trade shows, and charity organizations. 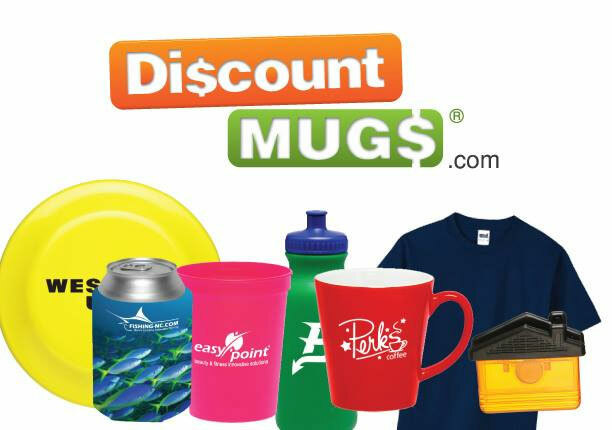 Discount Mugs is a factory direct supplier printing promotional products in the USA.